It’s Holy Week, and the panel reflects on Pope Francis’ call for Catholics to be humble in their lives and to know when it’s appropriate to keep silent. Campaigners against euthanasia in New Zealand have certainly not been quiet as they seek to bring an end to efforts to legislate for the practice. Back in Rome, Pope Francis has written to young people and given them encouragement to embrace the faith, something Cardinal John Dew is trying to do in Wellington as the Church goes through some significant changes. The non-robotic group of Anna, Don, James and Gavin usher you through those topics and more. The conviction and sentencing of Australian Cardinal George Pell dominates this month’s episode, with Anna, Don, James and Gavin grappling with the complexities of the case and a range of emotions. The show also looks at the Vatican summit on child protection and the Pope’s Lenten message for 2019. The panel considers the dearth of “local” vocations to the priesthood in New Zealand and wonders what to make of Donald Trump signing Bibles in Alabama. Spanning the globe and a broad range of topics on this month’s 15th Station. The Church in the United States, New Zealand and Germany is grappling with a number of big issues, with the southern US border and the impending New Zealand Royal Commission into child sexual abuse headlining this month’s show. The German bishops are looking at the issue of celibacy, framing their rethink of the discipline as a response to the abuse crisis. In New Zealand, Catholic schools are trying to find authentic, pastoral responses to the issue of gender dysphoria, while back in America, a priest is enjoying spreading some Christmas joy — all year long. Join Anna, James and Gavin, and the returning Don, for this globetrotting episode. In our December episode, there’s a little Christmas spirit, but there’s a little bit of the Grinch as well. In New Zealand, new research has found that churches — Catholic and Protestant — aren’t all that popular, but Jesus remains so. In the Philippines, President Rodrigo Duterte is trying to find out if suggesting people kill Catholic bishops is popular. But don’t worry; it’s just “hyperbole”. On either side of the Tasman Sea, justice is being considered following an overturned conviction for an Australian Catholic bishop and in New Zealand on abortion laws. But, as Christmas approaches, shouldn’t we all be worrying about whether Santa is real or not? Just another month — and another year — for The 15th Station. It’s a fairly heavy — and sombre — episode of The 15th Station this month, as Anna, James and Gavin survey the fairly challenging landscape for Catholics in most parts of the world, as the sexual abuse crisis continues to loom large over this era and this papacy. Pope Francis has called a meeting of the presidents of bishops’ conferences, while the Church in Australia has responded to the forensic examination it (and other institutions) received during the Royal Commission. In New Zealand, voices are being raised to defeat euthanasia legislation and there are new stats about annulments — but what do they mean? And, in the Czech Republic, what do spooky, ghostly figures in a Catholic church mean?  Station XV: Episode 130 — Abolition, Resignation, Sanctification, Vocation and CELEBRATION!! The Catholic Church in New Zealand and Australia is under pressure to change the way it approaches the seal of Confession, with governments in both countries wondering if removing the seal would stem child sexual abuse. Bishops in both countries have a clear answer: “No.” In the US, President Trump is pushing ahead with his second Supreme Court nominee in Catholic Brett Kavanaugh. Another president, Filipino Rodrigo Duterte, is also making headlines for his name-calling and his curious theology, while the NZ bishops are also wondering how their theology is helping (or hurting) the Church’s evangelisation efforts. A Baptist church, however, is just wondering how they can show the face — and body — of Jesus to the world, literally. 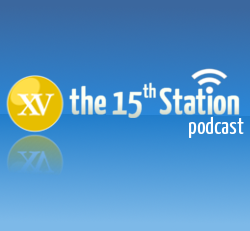 Join Anna, James and Gavin for this month’s episode of The 15th Station. The conviction of an Australian archbishop of failing to disclose child sexual abuse leads this month’s show, with Anna, James and Gavin seeking to navigate the complex case of Archbishop Philip Wilson. In New Zealand, in Rome and in South America, there’s a call for courage — among Kiwi seminarians, but also among those seeking to find solutions to the priestly shortage in places like the Amazon. Pope Francis has called for the German bishops to think again about their plans to allow inter-Communion for the spouses of Catholics, while in the US, a priest is showing off his spirit, as well as his physical gifts, in the show Ninja Warrior. It’s another eclectic journey through the Catholic Church. There’s more cause for celebration in New Zealand, with a second bishop ordained in quick succession. Bishop Michael Dooley is a local boy who has swapped his farmer’s crook for a bishop’s crosier. Across the Tasman in Australia, Cardinal George Pell has been ordered to stand trial on historical sexual offences, making him the highest-ranking cleric to be charged. The Cardinal entered his “not guilty” plea in a clear and firm voice. In the Philippines, President Rodrigo Duterte has chosen to unleash his power on an Australian religious sister, who has been speaking up on behalf of the poor and the marginalised. Meanwhile, the bishops of Oceania — Australia, New Zealand and many Pacific island nations — have also called for protection for those who are in danger, including from climate change. All in a month’s work for the panel of Anna, James and Gavin on The 15th Station.